Ecommerce is growing worldwide and becoming the preferred way for purchasing products and services. The statistics being thrown up by global ecommerce is full of unbelievable numbers that can make any entrepreneur perk up and immediately look into incorporating it into their business. While these numbers are pretty big right now, they're expected to only increase in the coming years. It had been quite an amazing year for ecommerce in 2017, and 2018 is expected to top it in many ways. Last year, ecommerce achieved a total of $2.304 trillion in sales, and it's expected to reach $4.5 trillion by 2021. According to cumulative data from Statista, that's a 246.15% increase from $1.3 trillion in 2014. In such a short time, ecommerce has become a force to be reckoned with in the business world. Another statistic worth noting here is B2B (business-to-business) ecommerce being 234.18% greater than B2C (business-to-consumer) ecommerce. While the latter reached ecommerce sales of $2.304 trillion, B2B ecommerce reached $7.7 trillion, which now makes ecommerce indispensable for B2B companies. In particular, mobile ecommerce (mcommerce) is becoming more and more of the preferred way customers order products online. Global mcommerce sales rose by 40.3% to $1.357 trillion in 2017, with China making up 67.1% of that total. While the US and the western world once held the ecommerce crown, Asia has caught up with the giant markets of China, Japan, and South Korea. The US' hold on ecommerce is expected to slide from 22.2% in 2015 to 16.9% in 2020. Most of these countries are known for having good broadband infrastructure, which is necessary for ecommerce to propagate. Of course, ecommerce is more conducive for certain categories of products and services, like fashion, media, consumer electronics, and so on. While most of ecommerce see purchase and delivery of durable (non-perishable) products, there has been a growth in demand for online purchase and delivery of perishable goods like groceries, beauty products, medicine, and so on. Among the top 10 countries, it's South Korea that sees the majority of ecommerce in consumable products. One of the most popular ecommerce platforms worldwide, WooCommerce is a free-to-use plugin for the WordPress blogging platform. That makes WooCommerce widely accessible to a tremendous number of users worldwide with a user-friendly installation process in WordPress and the availability of WordPress + WooCommerce bundles out there. 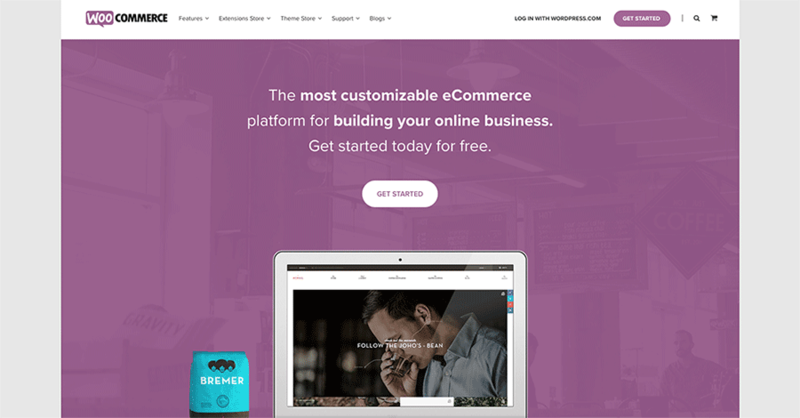 WooCommerce goes toe-to-toe with Shopify for the throne of world's top ecommerce platform. If you happen to already have a website powered by WordPress, then WooCommerce is a no-brainer. Popular for being an all-in-one platform used all over the world, Shopify is part of a group of turn-key ecommerce solution that provides everything an online entrepreneur needs from setting it up to selling products. The company was founded in 2004 and the platform was launched in 2006. Shopify is well-received by tech pundits, who described the platform as "clean, simple, and easy-to-use." The publicity it garnered from various business and tech outlets spread its name far and wide, which contributed to its popularity. 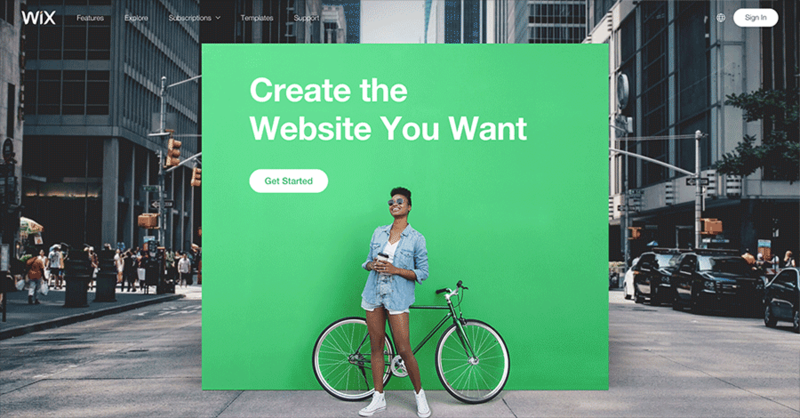 As one of the best known online brands in the world due to its marketing efforts, Squarespace is mostly known for its easy-to-use website building and hosting solutions. They have since added ecommerce functionality into it, which is Squarespace Commerce. 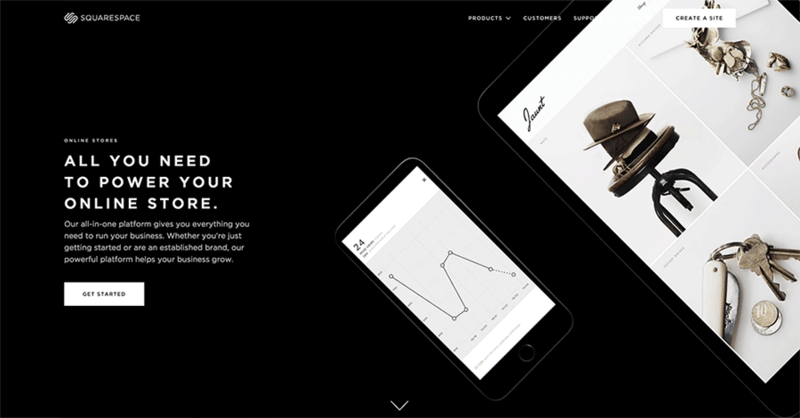 With Squarespace Commerce, you can build an online store and make it operational in virtually no time flat. You do need to pay more for all the extra bells and whistles, but you do end up with a very good-looking online store with Squarespace Commerce. The free website hosting service has now added its own ecommerce platform (known as Wix Store), similar to Squarespace Commerce. You can build a website and put up your online storefront all in one platform, making it easier for users with little technical proficiency to get into ecommerce and run an online business in the comfort of their own home. It does have less customizability compared to more dedicated platforms, but it has all the basic parts needed for entrepreneurs to get into ecommerce. 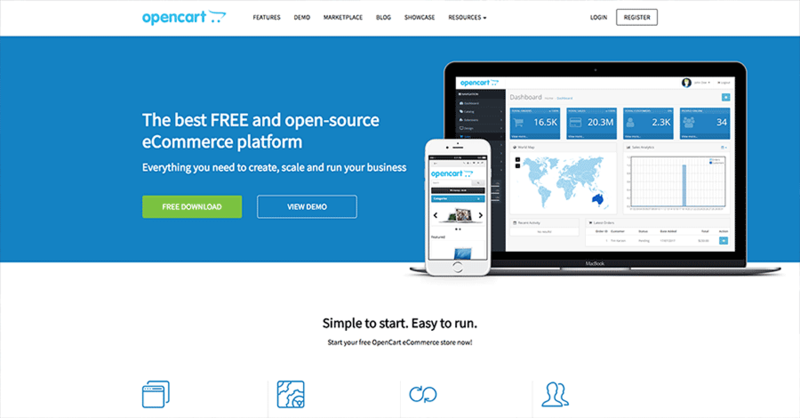 One of the earliest ecommerce systems out there, OpenCart was originally developed back in 1998 and saw its first public release the following year. It had a rocky start as it was eventually abandoned before being revived in early 2005. OpenCart now has around 317,000 live OpenCart sites. Its long history and open-source architecture is conducive for its community of users and developers. Based on PHP and using MySQL for its database, Zen Cart is a platform that branched from osCommerce back in 2003. It differs in architecture and some of its core features. It now boasts over 100,000 users with developers from around the world supporting its growing community. While not as popular as WooCommerce and Shopify, Magento is a top alternative for online entrepreneurs who are looking to do things properly in ecommerce. Initially released in 2008, this open-source ecommerce platform's developer was originally developed by Varien, Inc., which was later acquired by eBay. Varien had previously worked with osCommerce before developing Magento. Magento offers flexibility with customizability due to being written in PHP. 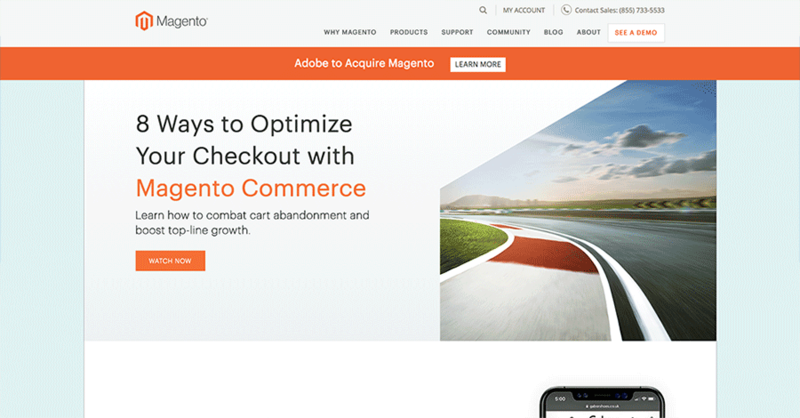 The developers of Magento has since spun out of eBay as an independent company with a new owner in late 2015, and the platform has been gaining traction ever since. Introduced in 2007, Prestashop has been gaining popularity over the past decade with its Prestashop Ecommerce development solutions. It focuses mostly on reliable online shopping solutions and an amazing user experience for online entrepreneurs with a low budget for establishing an online store. Prestashop is a good solution for those who need to put up an online store right now without much budget. 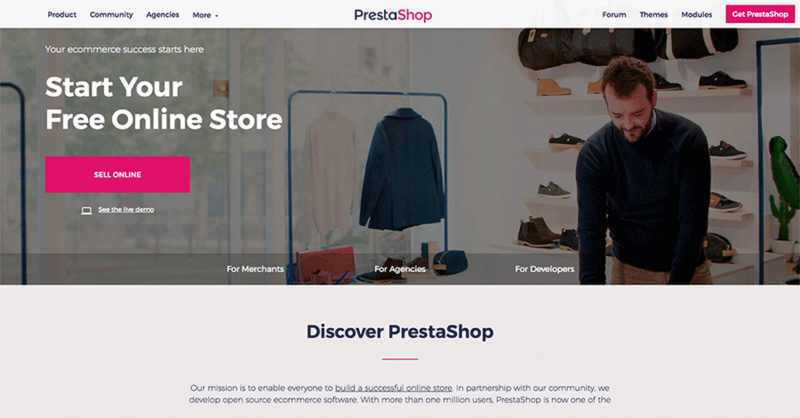 If you're looking for a fully-fledged store with more advanced features, Prestashop is not the best for that. With hundreds of thousands of users in its online community, osCommerce is a truly open source and free-to-use ecommerce platform under GNU General Public License. There are over 260,000 different stores running on osCommerce, with 12,800 registered sites under its belt. This platform is best for those who are just looking to put up an online store without fiddling too much with it. Whether you're simply dipping your toes into ecommerce or running a small to medium online store, osCommerce is a pretty good solution. Built upon the concept of being all-inclusive, BigCommerce seeks to provide everything an online entrepreneur needs to get started with ecommerce in one package. This is opposed to other platforms that may offer bits and pieces of an online store separately. 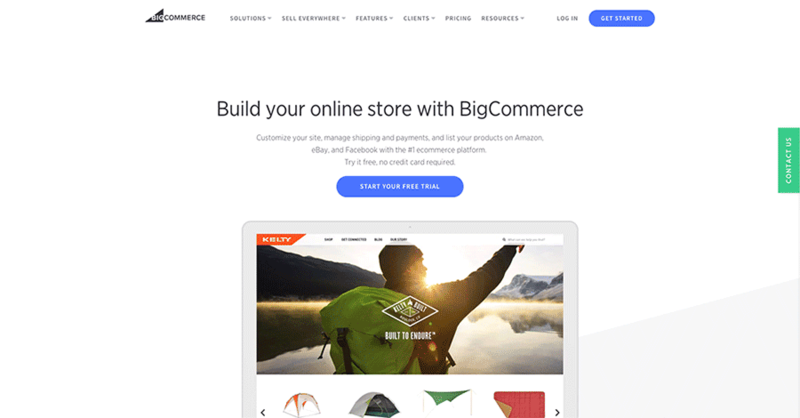 BigCommerce is a hosted platform with all-inclusive options that competes directly with Shopify and Volusion, as well as non-turn-key options like WooCommerce (along with WordPress), Magento, and others. The online retail economy is certainly far from its peak, which also means that starting an ecommerce business (now) could prove to become a very lucrative endeavor in the future. Choosing the perfect platform to use for a store might be a difficult task for some, but the good news is that there are so many available resources on the web (like the data we’ve presented above) that should help making the decision easier - because it should be. You can also follow SaleHoo on Facebook and Twitter to get more updates.